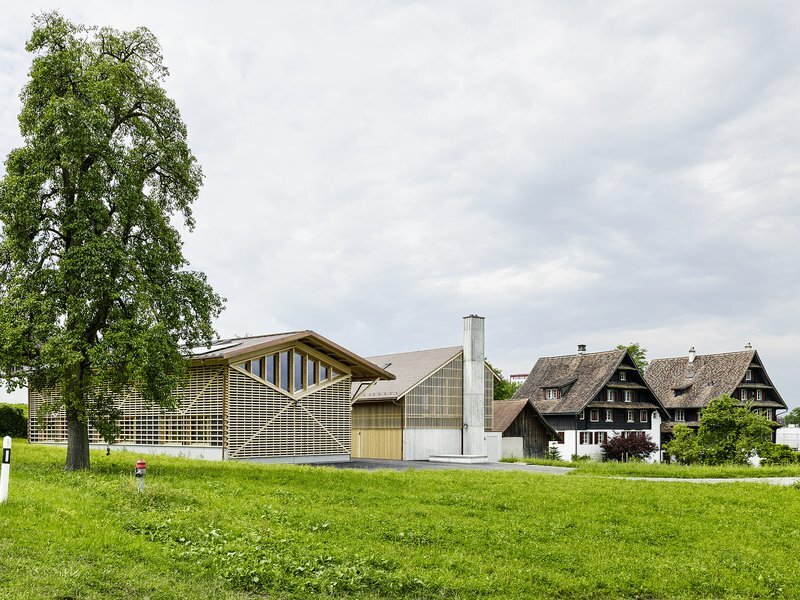 In a historically significant and long since landmarked 17th-century farmstead ensemble in Zug, an old carriage house and military barracks from the 1960s have been replaced by two buildings with new functions: a carpentry workshop with a restoration studio and a district heating station with offices and a carport. 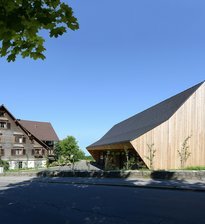 The new buildings stand out due to their positioning and striking roof shape as well as a prominent concrete fireplace and the use of timber as a traditional building material but with a contemporary look and meticulous detailing. 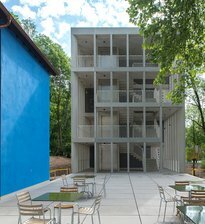 Two large window openings in the gable sides of the studio are formulated as «display windows» that give the ensemble a distinctive character that is noticeable even from a distance.